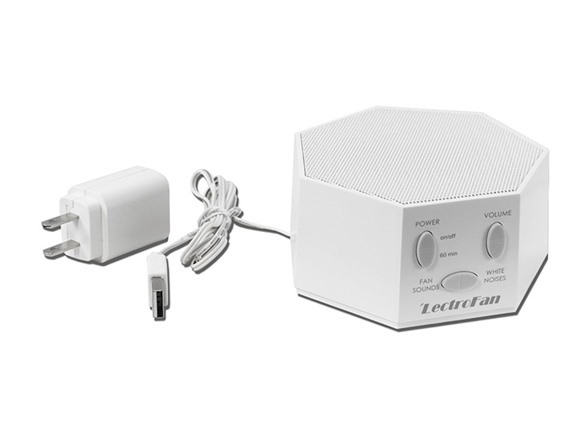 LectroFan uses state of the art technology to generate dynamic realistic sounds to drown out unwanted, disturbing, or intrusive noises. 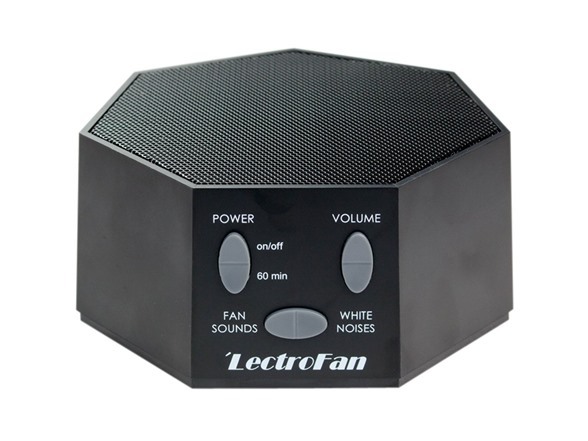 The LectroFan has two ways to reduce unwanted noises, either fan or white noise sounds. 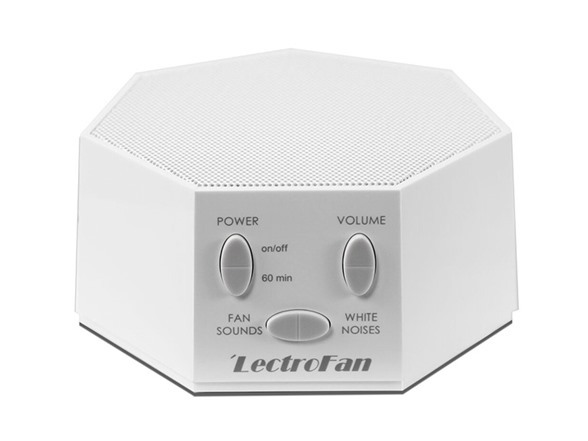 Both have 10 unique, non-repeating sound variations, each with adjustable volume control. 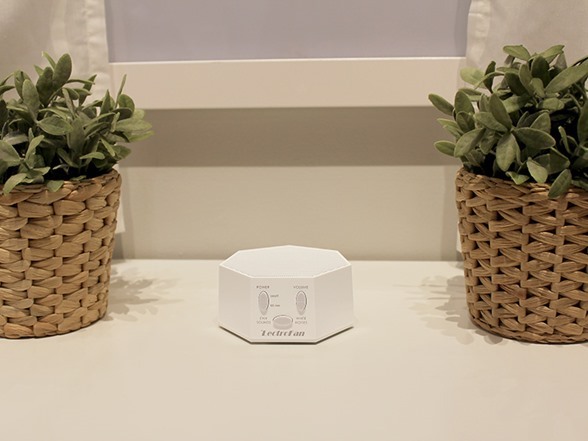 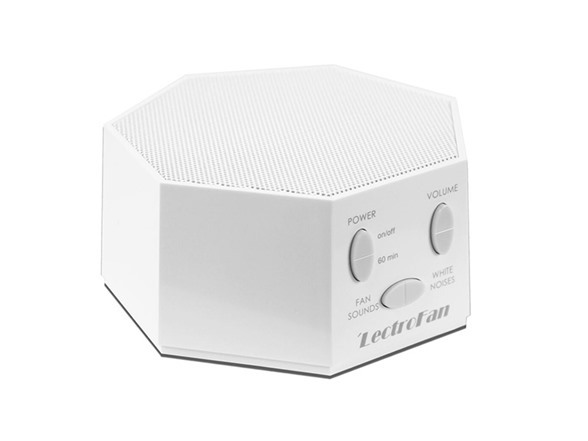 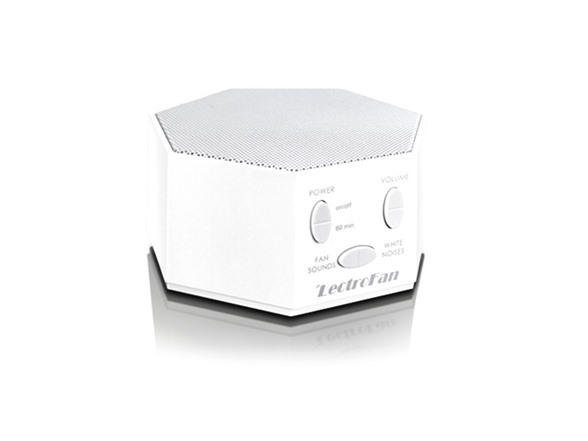 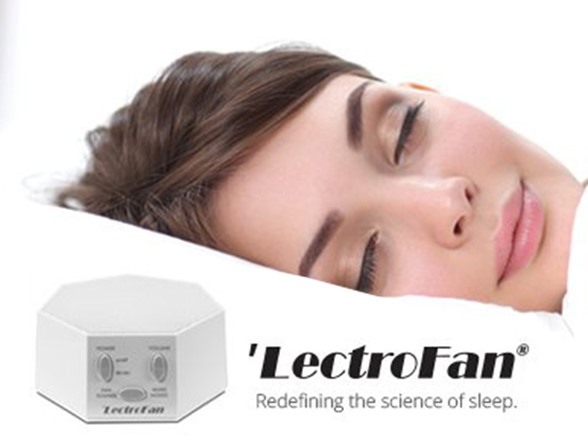 In addition to sleep, LectroFan also works great for speech privacy, blocking out noisy neighbors, drowning out snoring, reducing tinnitus ringing or hissing, sound proofing rooms for studying or reading, sleeping during the day, limiting startling noises that causes pets anxiety, and to create a more relaxing environment for yoga or meditation.